Well the reviews regarding The Walk certainly were not wrong. Another film that thrives due to its visual spectacle also creates an experience that can’t be described. As someone who is fearful of heights, I was unsure of my feelings headed into the theater, but minus a few moments of uneasiness, The Walk delivers an amazing story through it visuals. Although I must warn my fellow Acrophobiacs (fear of heights), if you don't want shaky legs while in the theater, I'd avoid the IMAX 3D. 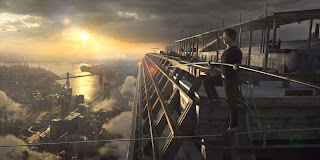 The Walk follows the true story of Philippe Petit (Joseph Gordon-Levitt), who dreams of performing feats that would fill a crowd with amazement. His performances start off small until he obtains the guidance of Papa Rudy (Ben Kingsley), a very experienced high wire walker with plenty of expertise to spare. 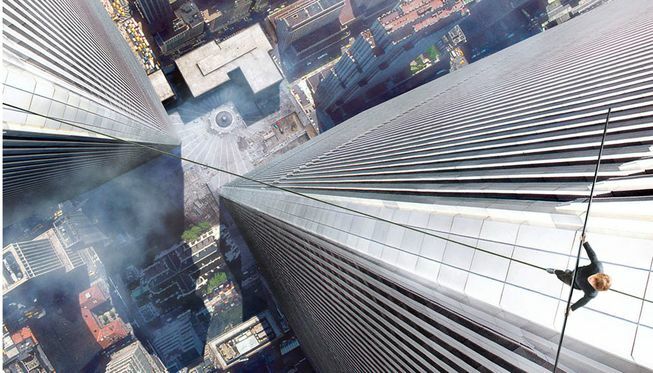 Petit devises a plan to fulfill his ultimate dream of walking a tightrope at the World Trade Center between the north and south towers. His plan begins to take shape, with some help from Annie Allix (Charlotte Le Bon), and towards eventual completion. 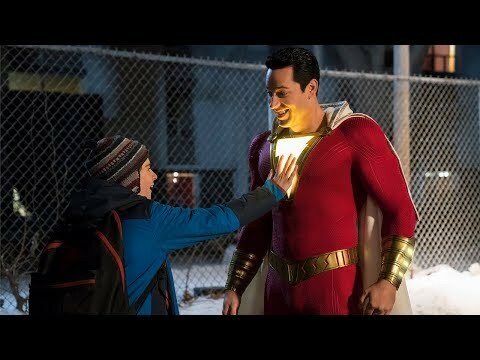 Saying a film thrives on it’s visuals certainly doesn’t mean the rest of the film doesn’t do things well, but the final walk itself has enough wonder and tension that if the rest of the film didn’t carry itself well, the climax could’ve made up for it. The sweeping shots of New York as the daredevil walker goes along the thin wire, are nothing short of beautiful and breathtaking at times. The great thing about The Walk though, is that it doesn’t just make it by with the visuals, it balances the visuals with some drama involving the magnificent plan to execute the walk itself. This has to earn director Robert Zemeckis a lot of credit, as it would’ve been easy to create a visual set piece and just fill the rest of the runtime with an incoherent film. Joseph Gordon-Levitt plays Petit well, showing just how crazy someone may have to be to attempt such a feat, even through a rather shaky French accent. And really the whole film belongs to him. He narrates sections (which is so cheesy) while also pulling off the dream filled French man. His supporting cast is there to further his story and don’t get many opportunities to shine. The movie really ends up being about the central theme of following a dream. And in a way that’s the greatest part of the film. It delivers the drive and work that is needed to accomplish such magnificent feats without getting too dramatic about it. So what did you think of The Walk? Have you seen it, do you want to see it or is the walk to the theater too much for you? Comment below and let me know and as alway remember to come back for weekly reviews and insight.